WOD with 135# and did regular Deadlifts in this order. My wife is selling a pair of size 8 Nike Metcon 1’s for $75. She only wore a couple times. She bought some nano’s that she likes better. Text/call 405-693-9458 if interested. 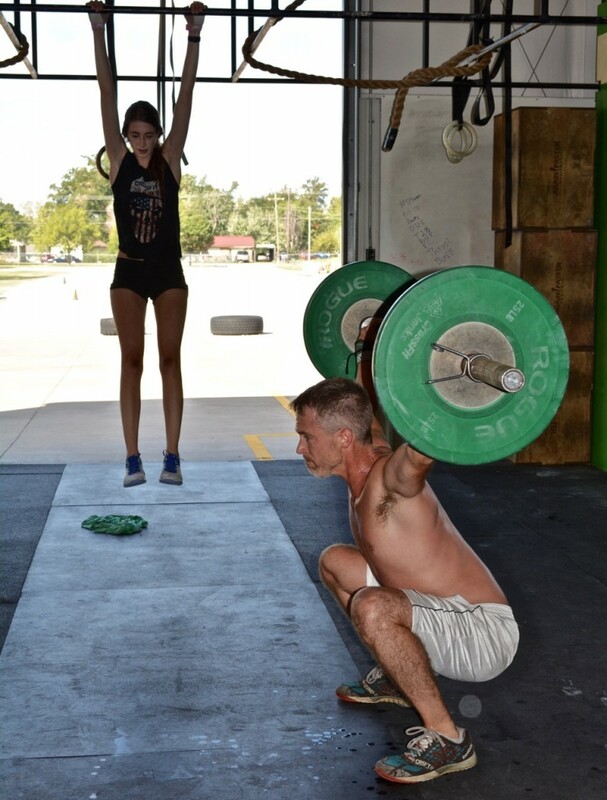 Taylor and Nick are getting after it, via the CF Jenks method! Oh yea. Great job on the WOD so far CF Jenks. Keep after it lunch and afternoon battle groups! Remember those CF ten recognized fitness domains. right legged dl’s were dodgy with weak ankle, tapped the ground on a few reps w other foot! 2. 22 deadlifts..didn’t have much time left! Really focused on good technique and making sure I didn’t break anything. Felt good to pick up something relatively heavy!